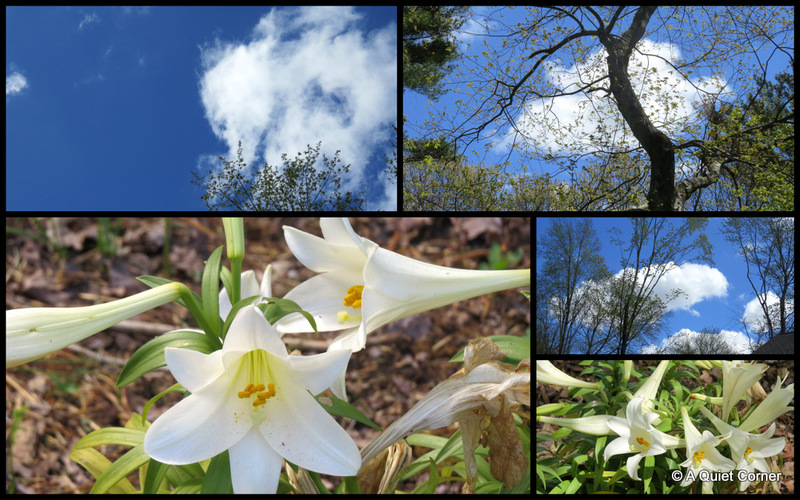 I really couldn't think of "white" until I was outdoors (as usual) and simply looked up. There it was...all around me! Beautiful! I love the white clouds, and the lily is fantastic. Pretty flowers and clouds with a beautiful blue sky. Nice job.